Help you find a mentor/s to chat with. Using words correctly turns them to known in vocabulary map and earns points. A student can look up words by tapping them in the Mentor's messages. 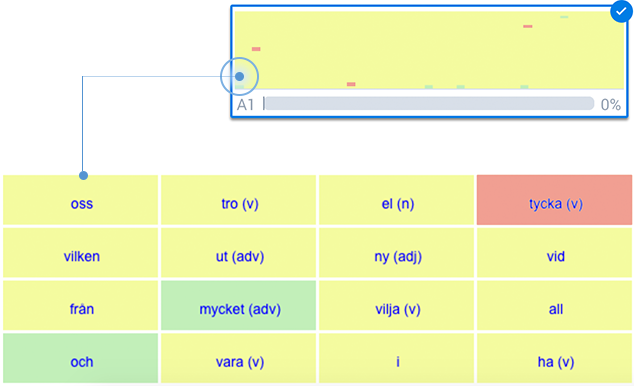 Språkkraft builds a model of the Student's vocabulary while learning. 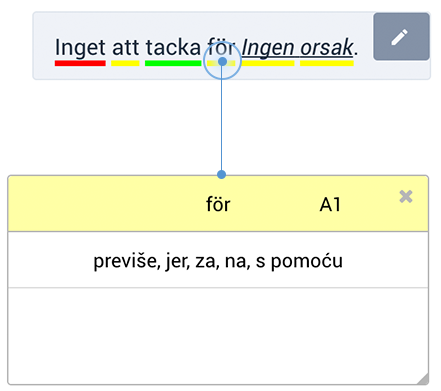 Both the Student and the Mentor can see what words the Student knows (green), what to learn now (yellow) and what to learn later (red). Students can track their progress and update their knowledge through a visual vocabulary map. Explore each screen's features by pressing the Help button. 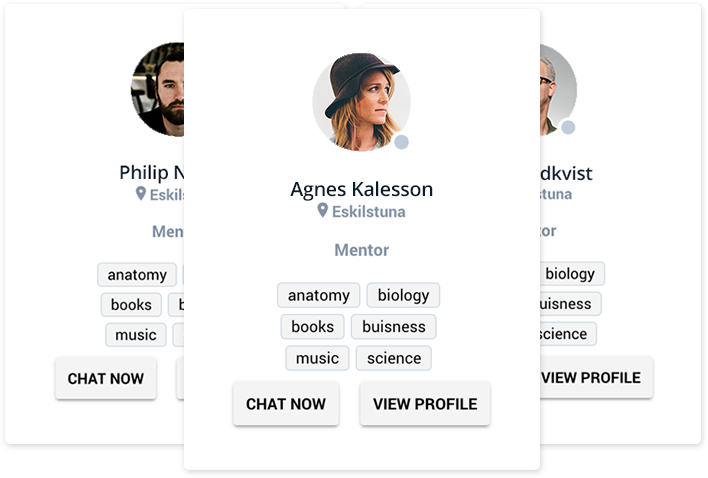 Get connected with established Swedes and develop your Swedish language with the help of the integrated language learning tools. 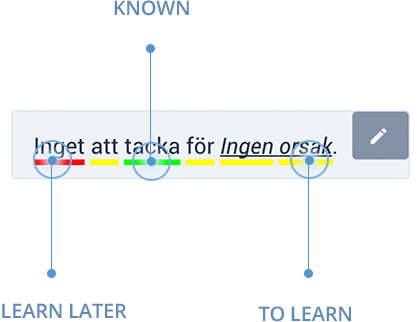 With Språkchat, learning Swedish is fast, easy and efficient. 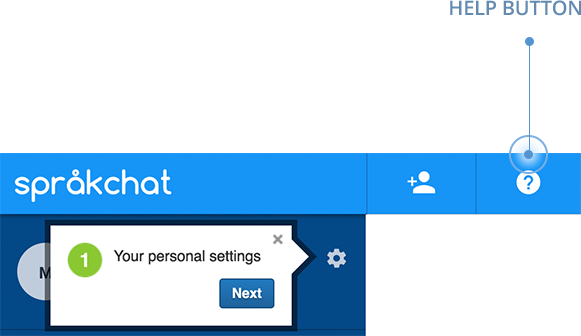 This unique web-based text chat service comes with unique integrated language support to 18 languages. If there are words the student do not know, communication does not have to be interrupted, just tap the word and see the translation. Once you know a word, tap on it and change its color status from Red to Yellow or Green. This will reflect on your personal learning profile (Vocabulary) which will help you go to higher levels (A1, A2, B1, B1, C1, C2).